The editors argue in this introduction that while family formation has been fundamentally shaped by Peter Laslett into a nuclear group, recent research has since broadened this view. 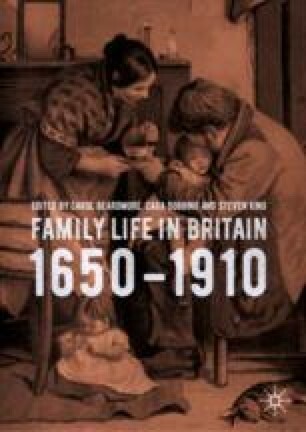 It explores albeit briefly the historiography around the study of British family size and kinship groups. Overall it surveys the main themes of this volume in terms of the size and shape of co-residential groups, the extent of nominal and fictive kinship, the meaning of family and kinship as well as trends in the utility of family and kinship. In essence the editors argue that while nuclear groups most commonly appear in the sources and archives used for this volume matters are by no means completely clear cut. Essentially the editors suggest that family and kinship groups were much more fluid entities than has previously been presumed and where function and form were affected by a wide range of social, political and economic factors.